Moultonborough, New Hampshire is located on Route 25 on the northern side of Lake Winnipesaukee and Route 109 on the eastern edge of the lake. The town is remembered for it's long neck into the lake giving it 50 miles of shoreline. The town was first chartered in 1763 by a group of settlers from Hampton, New Hampshire. Of these settlers there was a number of them from the Moulton family. Colonel Jonathan Moulton led this group and was considered to be one of the richest men in the province. The town was named in his honor. This town is one of the more scenic areas of Lake Winnipesaukee. You can find terrific views of the lake and the Ossipee mountains. It's sandwiched in between Meredith and Wolfeboro, where you can find great cultural activities. Enjoy the wildlife, views and quiet relaxation of this town. Reviews of the Moultonborough area. Red Hill, in the Ossipee Range, is a hiker's dream. The terrain is varied and offers interesting trails. The views of Lake Winnipesaukee and the White Mountains of New Hampshire from atop the fire tower is a must see. If you're into fishing, Green's Basin on Lake Winnipesaukee is the place to be. It's quiet and the perfect place for the fish to hang. We traveled up there by boat, not to fish, but just to see the area. When you're just motoring along, you can imagine the quiet mornings, catching fish and feeling like you're part of nature. Castle in the Clouds is a popular place to visit in the warm months. Covering 5,200 acres of the Ossipee Mountain Range, the estate has a spectacular view of Lake Winnipesaukee and the surrounding area of New Hampshire. If you're intro wildlife preservation, then you'll want to visit the Loon Center and Markus Wildlife Sanctuary. 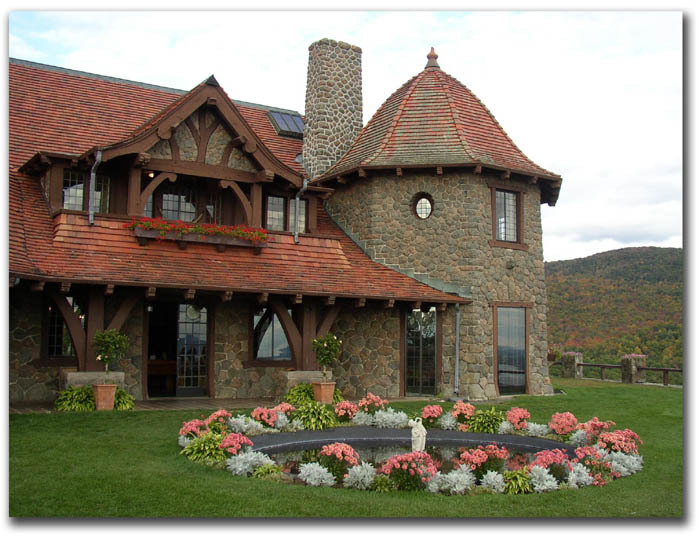 The Loon Center is made up of 200 acres of forests, marshes, ponds and streams. Experience the natural beauty of the sanctuary by walking through the forests or following the Loon Nest trail along the shoreline of Lake Winnipesaukee. It's a wonderful place to learn about the loon and other New Hampshire wildlife.